The coastline around Phuket, Phang Nga and Krabi provinces is renowned for dreamlike beaches, secret coves and islands, and unique rock formations. 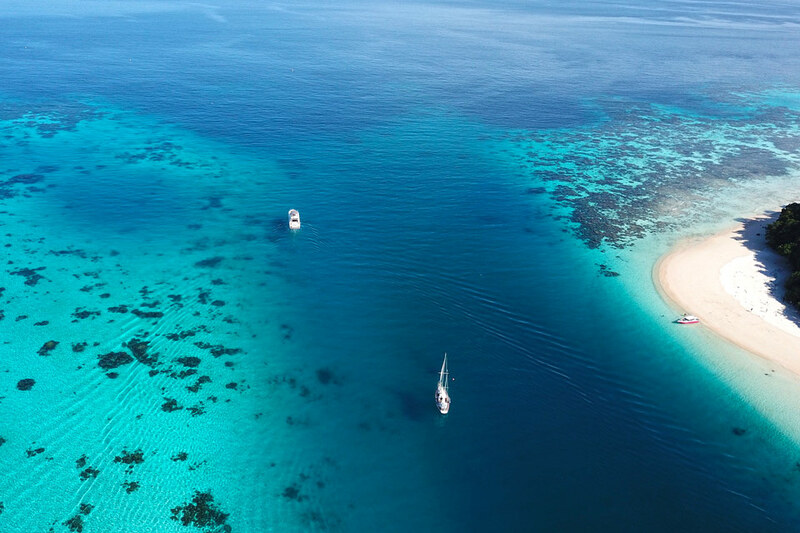 Did you know that the area is also home to some of the best snorkeling in the world? With balmy, calm and clear waters and rich marine life, the Andaman Sea is, in fact, nothing short of a snorkeler’s dream. We often get asked about the best spots for snorkeling around Phuket. While there are numerous beautiful islands and secluded beaches just next door, the truth is that not all of the locations are suitable for good snorkeling. For example, the famous Phang Nga Bay will amaze you with its rocky scenery but will offer you limited areas to snorkel. Below is our list of recommendations; please note that certain locales (such as Similan Islands) require a minimum 3-day trip to be enjoyed to the fullest. 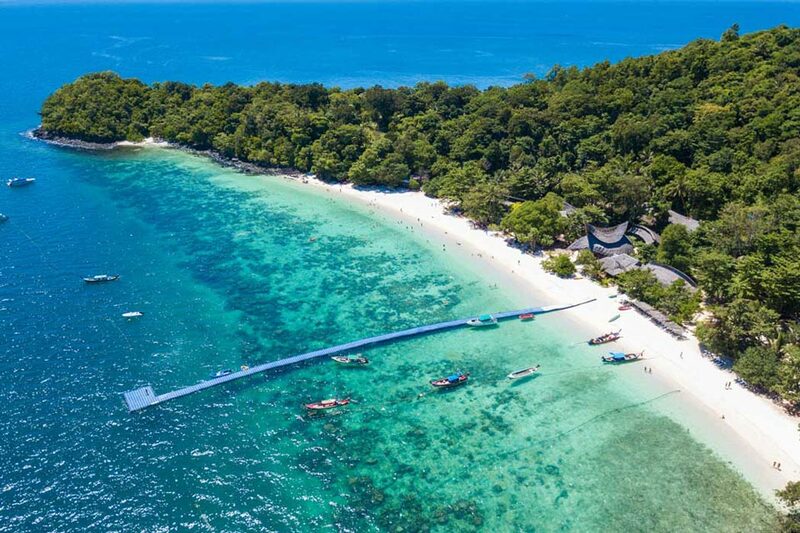 Located 12 km off the coast of Phuket, Koh Racha Yai and Koh Racha Noi (also known as Ko Raya Yai and Ko Raya Noi) are notable destinations for diving and snorkeling around Phuket. The bigger of the two, Racha Yai, has become more developed in the recent years, while the smaller one, Racha Noi, remains uninhabited. The glassy water around these twin islands makes snorkeling a joy. Besides sea turtles and eye-catching corals and fish in Racha Noi, those that are lucky might also catch a glimpse of manta rays. A small archipelago that consists of six islands, Phi Phi is known for the two main ones – Phi Phi Don and Phi Phi Leh; stunning Phi Phi Leh is particularly famous for its Maya Bay that was featured in “The Beach” movie. The variety of sea creatures and coral reefs make snorkeling around Phi Phi truly spectacular. If you happen to cruise around the islands mid-year, keep your eye out for whale sharks! These gentle giants come to Phi Phi every year but only very fortunate visitors get to see them. Located in a hidden spot in Phang Nga Bay only a short ride away from Phuket, Koh Khai archipelago is another superb destination for snorkeling around Phuket. 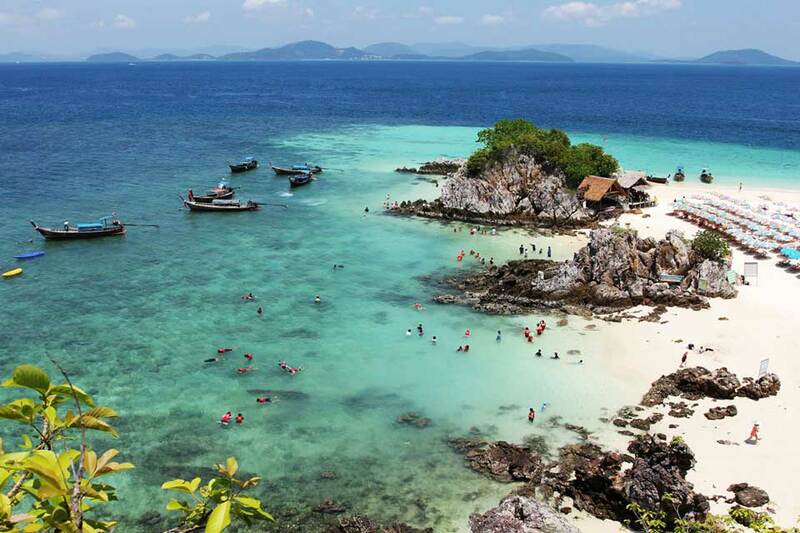 The sea around these 3 small islands (called Khai Nai, Khai Nok, and Khai Nui) is bright blue and home to astonishing fish of all sorts and colors. You’ll love luxuriating in this picturesque oasis that is fantastic for a half- or a full-day trip – just remember that feeding the fish is prohibited by law. One of these magical places where the fish swim freely around snorkelers, Koh Hong archipelago is also great for kayaking and scuba diving. These islands in Krabi belong to a national park and are therefore only open for day visits. Hong Islands’ beauty is enchanting: rocks and limestones of all shapes lace a natural lagoon with coral reefs and gorgeous beaches…. 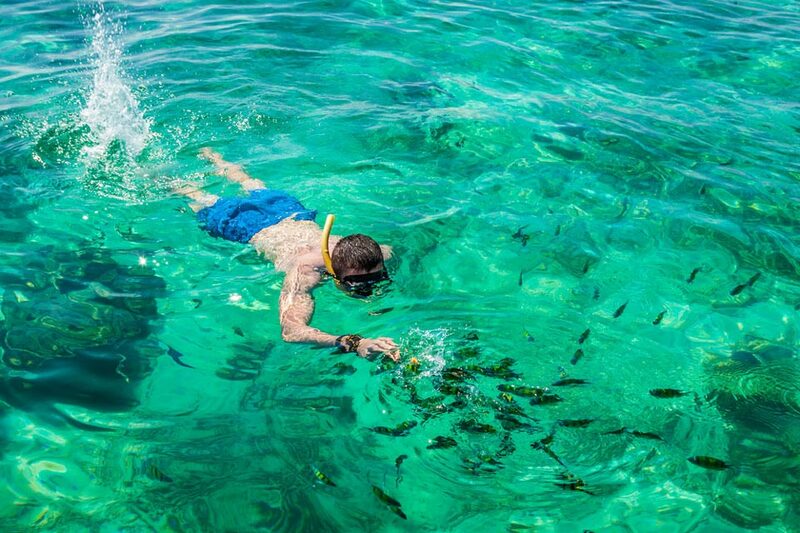 Also, some of the best snorkeling spots in the area are a bit further from the shoreline, so visiting on a private charter is an additional perk. Fantastic for snorkeling trips all year round, Coral Island (locally called Koh Hae) is located just 3 kilometers southeast of Phuket. It features two main beaches and a coral reef that it owes its name to. Coral Island is yet another wonderful destination for snorkeling around Phuket where the sea is clear, the beaches are clean and white sanded, and the vibrant fish swim right up to your mask. Maithon Island, known as the Honeymoon Island since it is popular among honeymooners, is a place where you can easily encounter dolphins. 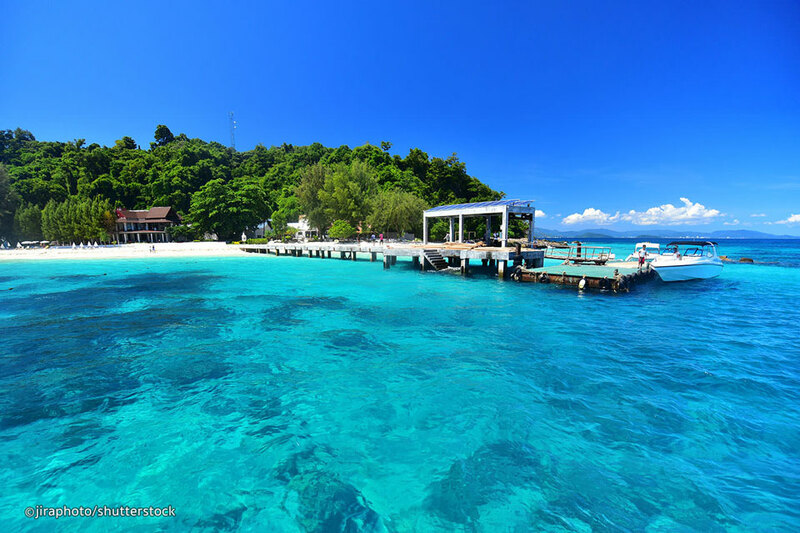 This private island is located about 8 km from Phuket and open for limited day trips. Its paradise-like setting with white beaches, super clear waters, and a clam garden guarantees an afternoon to remember. Take plenty of pictures and enjoy the spectacular array of fish and corals on display under the water’s surface. Made up of two islands called Koh Rok Nai and Koh Rok Nok, Koh Rok Islands belong to Krabi archipelago. The islands are famous among snorkelers and scuba divers because of their abundant marine life; they have, however, been preserved and protected from mass tourism. Here you can snorkel directly on the beachfront, as well as take pleasure in some of the finest beaches in the area. Located on the west of Koh Lanta, Koh Ha Islands are among the best and most diverse snorkeling locations in the Andaman. The archipelago is made up of five limestone islands (in Thai, ‘ha’ is word for ‘five’) that belong to Koh Lanta National Marine Park. 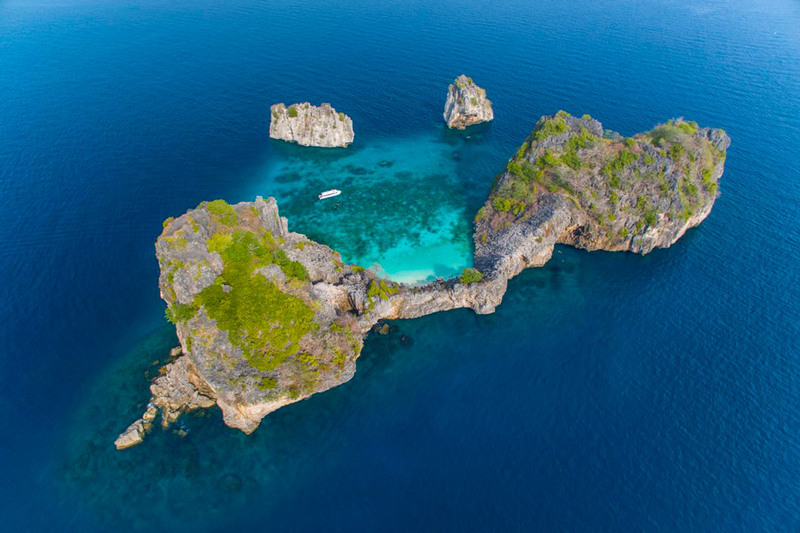 Koh Ha Islands feature underwater caves and shallow coral reefs visible even from the water’s surface – not to mention an abundance of colorful fish. Take your time in this snorkeling paradise, and don’t forget to take loads of photos to impress family and friends. 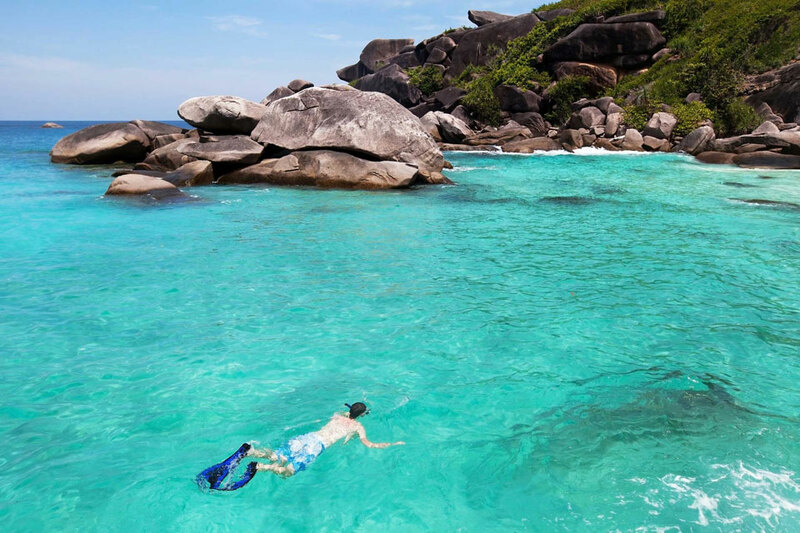 Visiting Similan Islands on a private yacht charter is an experience of a lifetime. The islands are among the world’s top ten diving sites and open to public between mid-October and mid-May (dates vary a bit each year). Similan Islands are located about 85 km away from Phuket. 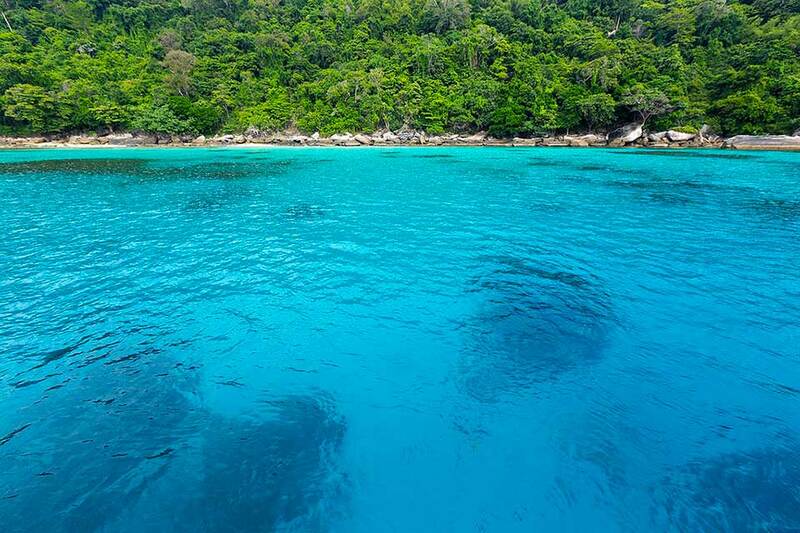 The archipelago consists of eleven islands that belong to Koh Similan National Park. Everything you have heard about this locale is true: there are breathtaking corals, perfectly clear waters, and an exceptional variety of sea creatures… A cruise to Similan is an unforgettable gift to yourself and those you love. Now that we’ve introduced you to the best spots for snorkeling around Phuket, all you need to do is choose a yacht for your cruise. In case you are still undecided about where to go, send us a message and we’ll be happy to share our knowledge and advice.